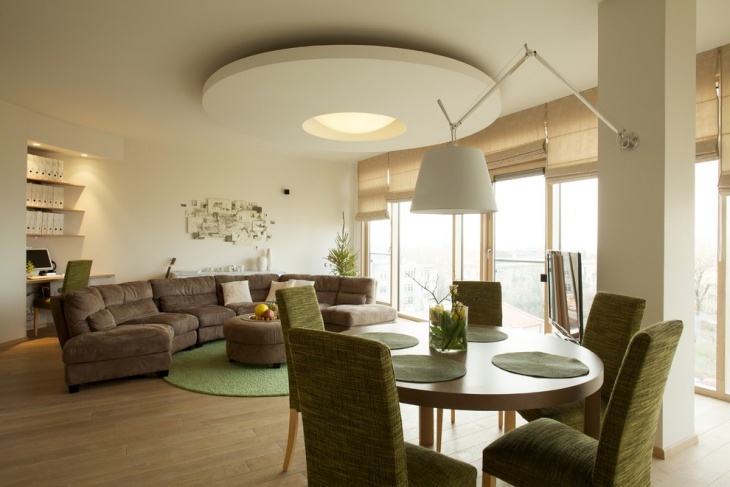 There are times when you opt for false ceilings to give a facelift to your living room. 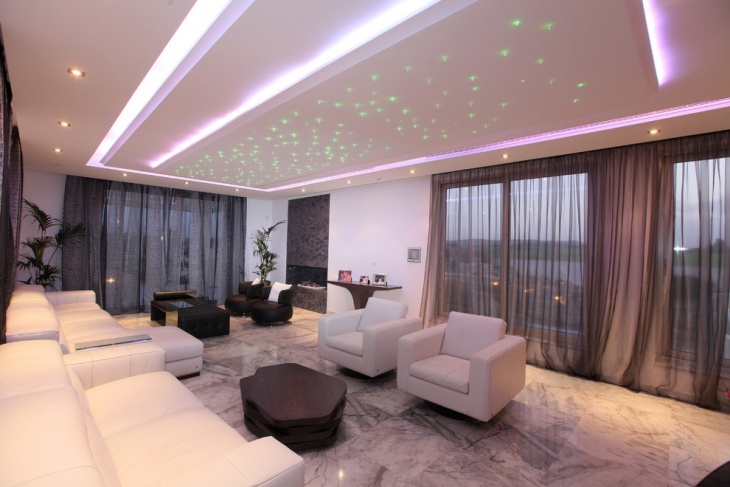 There are a number of Living Room False Ceiling ideas which you can incorporate in the house. You can be experimental and innovative in designing the ceilings. With the change, taste and aptitude of people are also changing. 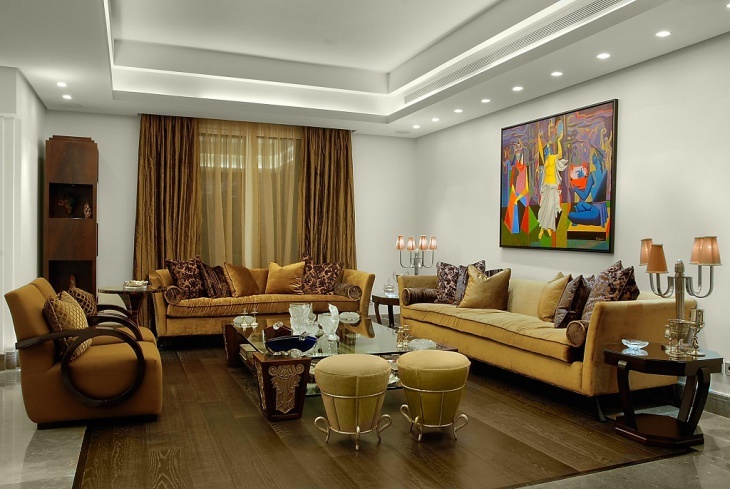 You will come across a number of false ceiling designs for the living room. These add to the architectural splendour of the rooms. So, here are ten beautiful false ceiling ideas for you and these will cater your appetite for designing a perfect living room for your home. 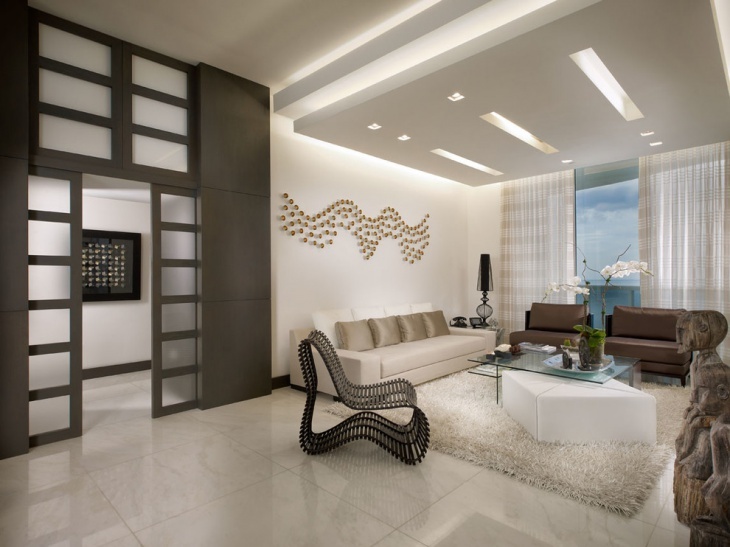 When you have a spacious living room, opt for a pop false ceiling idea. You can even incorporate a matching ceiling art here. A gypsum finish on the walls and ceiling is ideal for the architecture. This goes well when you have cream colored walls, along with green and brown furniture. This is a peculiar English home-style setting when you have a wooden false ceiling made from wooden planks. Hang small lights from the intersecting points of the planks and paint it in a bright wood color. A matching floor, designed in light wood color will match the room perfectly. When you have a tray ceiling made of gypsum, you can get in touch with a simple false ceiling. 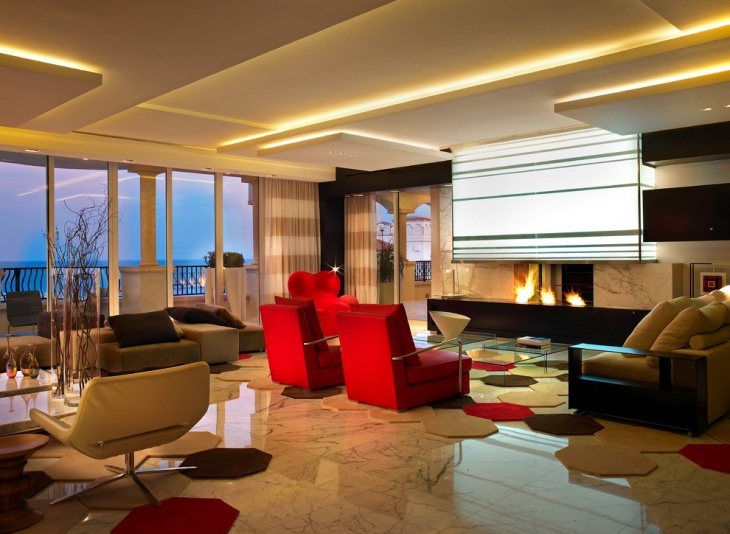 A well-planned LED lighting system will make the room bright. 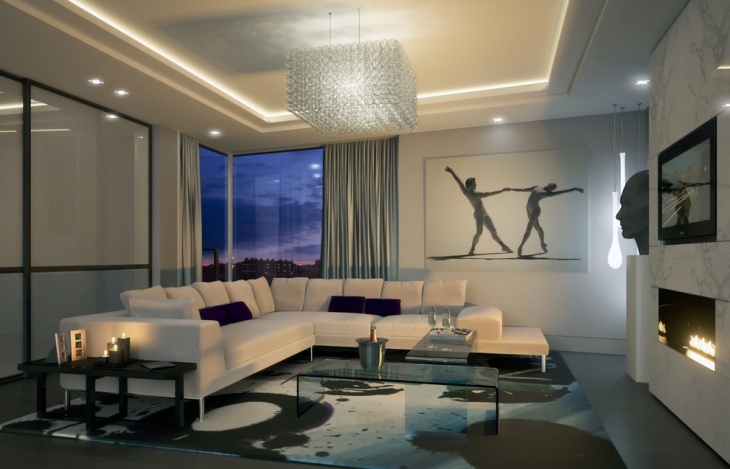 A plaster ceiling in white, along with gypsum walls will be ideal for the room. 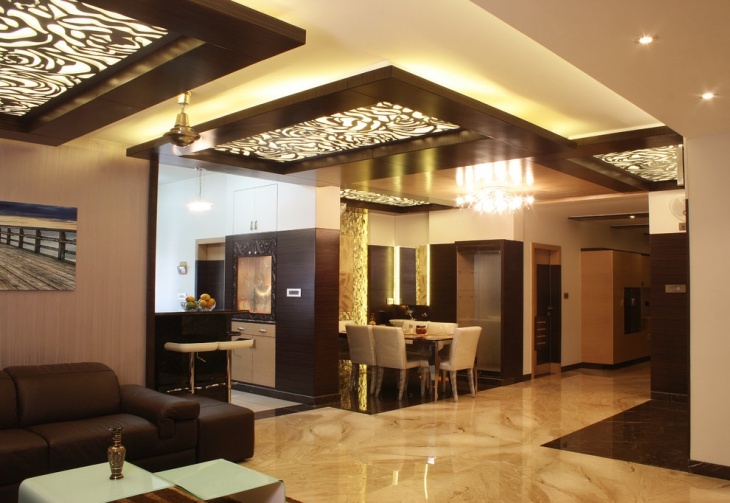 A modern false ceiling has overlapping pieces of plates with drop ceiling lights. The edges are pointed and the dark brown wall showcase and pillars make the right match for this room. Along with a light wooden floor, the fibre optic lighting makes the room luxurious. 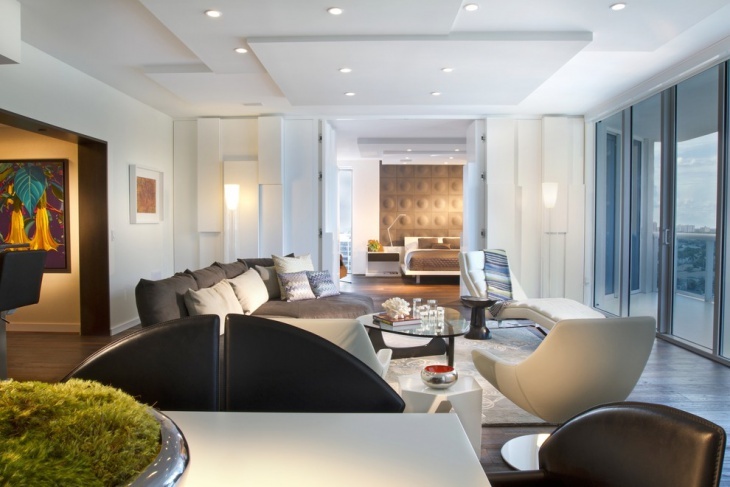 The contemporary pop ceiling is the perfect match for spacious rooms with white walls. Buy dark grey sofas to get the right contrast. 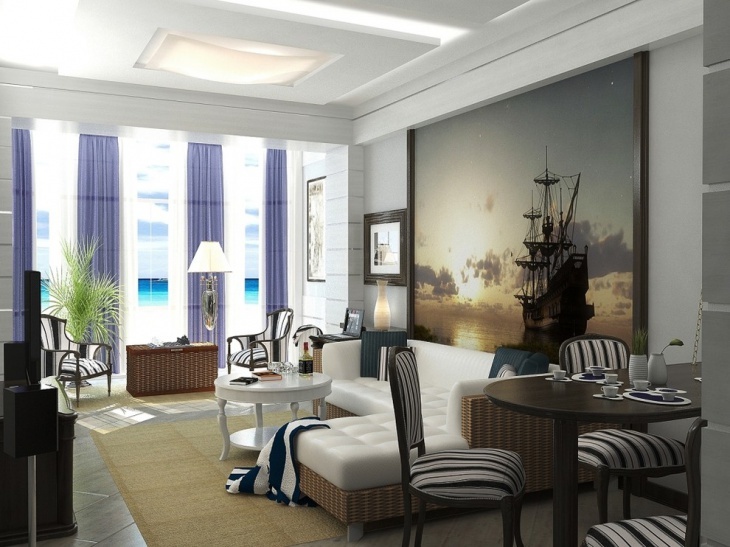 A drywall sculpture and small pendant lights in the ceiling will make the room beautiful. Also get floor-to-ceiling glass panes for the windows. When you have a suspended ceiling, make the rest of the room compatible to it. 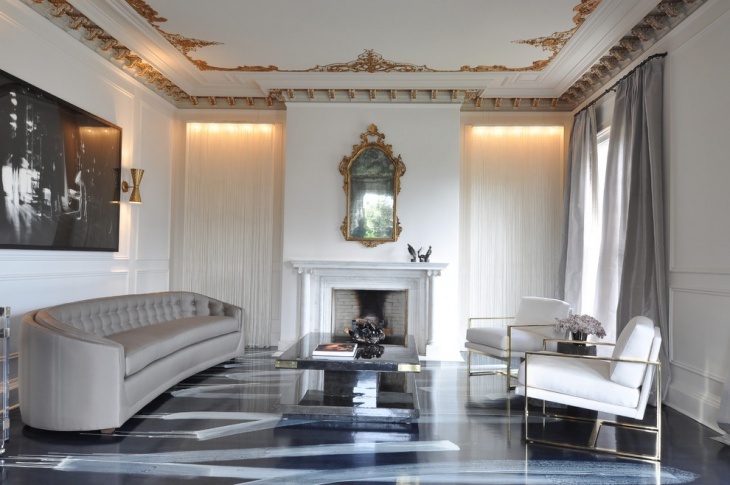 White marble floor, fibre optic lighting and white furniture for sitting are some of these. These are best suited for kids, and you can get a green ceiling in the same concept using different lights. 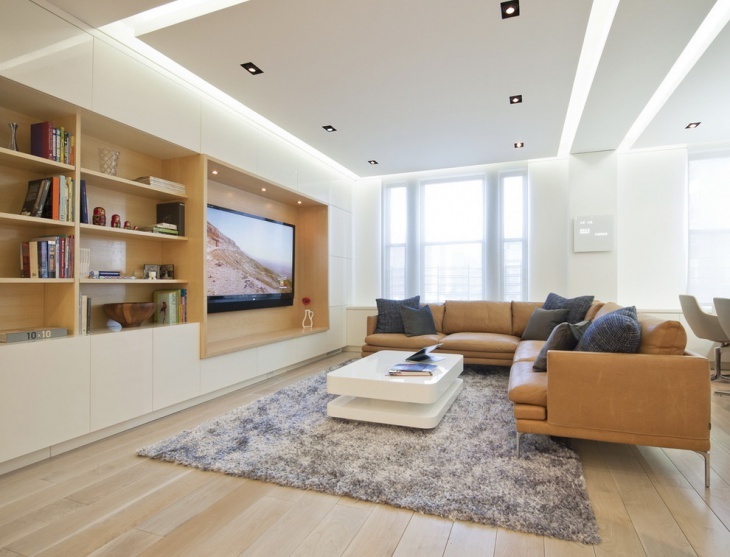 When you have a large living room, you can opt for ceiling panelling. In this setting, you can use white Ceiling tiles overlapping each other in the ceilings to create beautiful square patterns. These are wall to wall units and make the room different from the contemporary trends. Well, when you have a perfect false ceiling, you can further bump up the sophistication of the room with Led strip lights. The indirect lights create a great ambience in the room. 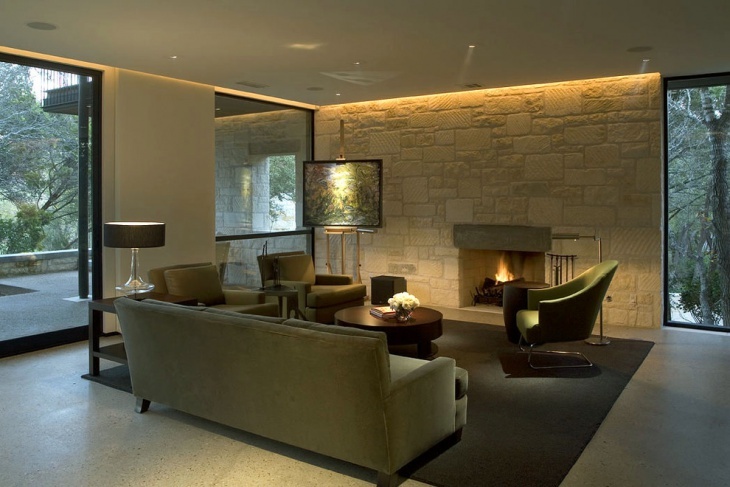 The wall cladding in light brown complements the hidden lighting to make the room a dream place. When you look out for the right décor for the drop ceilings, you can you can incorporate a linear fireplace in the room. The plaster ceiling is ideal for a game room. 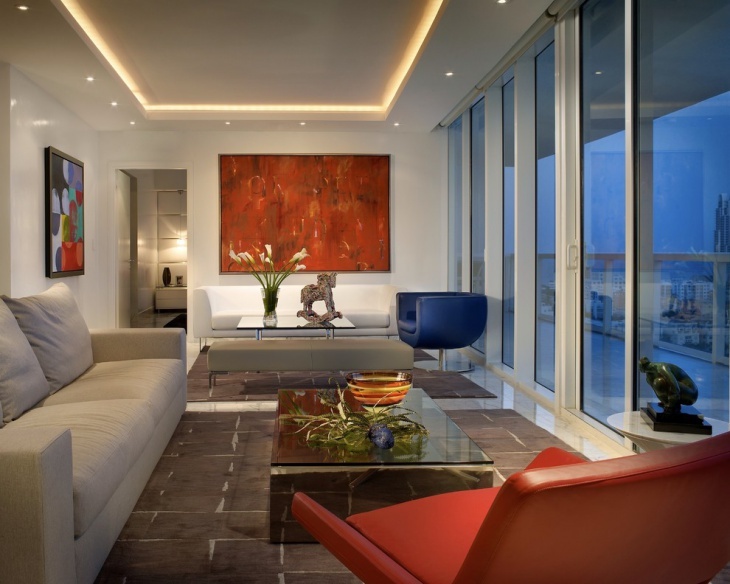 There are vibrant furniture and red backlight stained glass to make the room bright and bold. So, when you decide to craft the perfect Living Room False Ceiling, there are a lot of choices. Well, you too may think of some out of the box ideas. 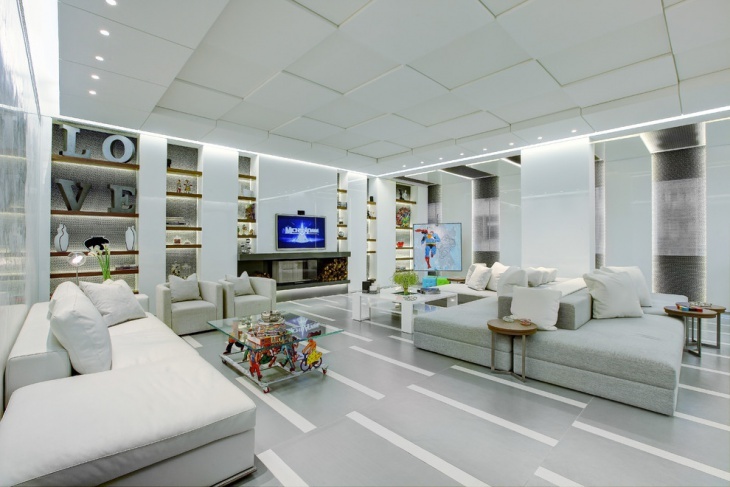 You can innovate new false ceiling ideas and enjoy a great design in your living room. Let us know if you have any idea of your own to share.